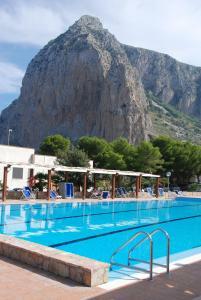 San Vito lo Capo is a delightful small Italian village. 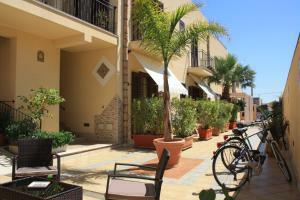 It is located just forty five kilometers to the north of Trapani on the northwestern coast of Sicily. Famous for its delightful beach and home to the famous Couscous festival, there is much to do in San Vito. Once just a small fishing village, in recent years the economy has become heavily geared toward tourists. With gorgeous landscapes and nearby archaeological sites, there is something beautiful for everyone to enjoy. The crystal clear water at San Vito is sure to help you truly enjoy this delightful piece of Sicily. Salinella offers some great opportunity for those who love to climb. Salinella is a long cliff by the ocean that goes all the way from Calamancina in the north down to El Bahira to the south.The most developed portion of the area are near the south and north ends. There are a total of 1,000 climbing routes in this area. To get specifics on which routes to take, and what you will need to have a great experience, you may want to get one of the great climbing guidebooks available. One of these is Di Roccia di Sole from Versante Sud. This particular guide covers the whole of Sicily and has particularly in depth coverage of San Vito. Another option is the Gebro Verlag which covers San Vito as well as the Custonaci area. It is fairly easy to grab a bus between El Bahira and Pineta campsites to San Vito. Many dedicated climbers like to stay in El Bahira since it is located just at the foot of this crag. 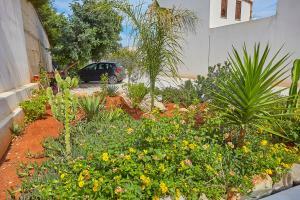 There are lots of different accommodation choices including tents, bungalows, mobile homes, and villas. One of the nice things about Salinella is there are no site restrictions. You are free to move about the crag as you see fit. The gorgeous long sandy beach and beautifully crystal clear water is well worth a visit. The beach waters are particularly shallow which makes it ideal for visitors with children. This beach has even been recommended by the Association Pediatricians Italian. The beach is a total of three kilometers long. You’ll find all the facilities needed here. This includes showers, sunbeds, parasols, and bikes. There are also a number of bars, fast food establishments, street vendors, and charming table service restaurants. 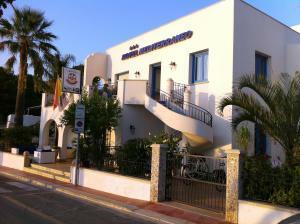 Many of the hotels in San Vito are situated within walking distance of the beach. In the summertime, it is common for these hotels to offer a free shuttle bus to and from the beach. The nearby harbour is also well worth a visit. It is actually the safest harbour in all of Sicily. There are two different piers and four floating docks. The water in the harbour is quite deep measuring up to eight meters. This means that a wide array of different boats can come to rest here. Here you will find four different scuba diving and sailing schools. There are also a number of exhibits featuring the type of fish common to the area. For those who love boating or fishing, this is a great attraction to visit in San Vito. This important landmark is a must for those who want to learn about the wealth of this historic area. This tuna fishery was named the Dry tuna due to the shallow waters. This fishery officially went into business back in 1412. This marks the year with King Ferdinand officially permitted tuna fishing in the area. Over the years, this operation has passed through many hands. The Tna business was once the dominant industry in the area. Processing tuna officially ceased here in 1929. It was officially closed due to the increasing costs of labor and failure to produce adequate amounts of product. Although the plant itself is in a state of decay, it has a certain ambiance that is fascinating for all who visit. It has been the site of many TV and Film shooting operations. Nearby you can still see some of the aristocratic buildings once lived in by those that most profited from this industry. If you get the chance to talk to any of the locals, you are sure to hear fascinating stories of the days when the plant was still in operation. Although it is not currently operating, it remains an important part of the living memory of those who live here. This fascinating medieval town is just forty five minutes from San Vito. Today it is officially a United Nations Heritage Site. It is a walled city full of well preserved buildings. The streets are lined with cobblestones and delightful shops to explore. WHile there you will want to take in the famous Norman fortress. It was originally founded by the Phoenicians, but it was Hellenized to a great extent. The name of the city connects back to the famous Greek hero Eryx, but from 1167 - 1934, it was known as Monte San Giuliano. This was the Norman name and was made popular when the Normans took it over through what is now known as the Norman conquest. This beautiful islands are enjoyable for the whole family. They are very easy to reach and can be visited without a tour guide. You can grab a ferry between Trapani and the islands as well as between the islands. Levanza is one of the less populated islands and is full of hiking trails and isolated coves. You can choose between short hikes and ones which take up to 4 hours. The natural beauty of these islands is truly stunning. The more populated island is Favignana. This island has an attractive town center, a number of restaurants and bars, as well an easy to use bus system. This gorgeous theater was originally built in 1843. It constructed entirely from wood. The theater here is still active so you can experience a real Italian show in the Teatro Garibaldi. The theater is decorated inside and features a free guide for those who visit. Although the theater is not incredibly large, it is full of interesting features. 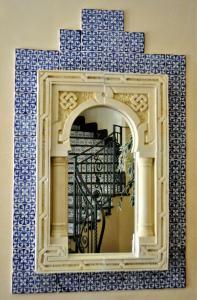 Teatro Garibaldi was recently renovated and has recaptured the charm from its hey days. Located in Mazra, this attraction is a real treat for all who come to visit. Those who take care of the theater are very passionate and will be happy to help you gain a genuine appreciation for this important element in the town. This fifth-century Doric temple is a fascinating experience. It was never completely finished. As a result, it lacks a roof and an interior. The structure is quite massive and has a distinct feeling of being unaffected by the passing years. To really appreciate the location and magnitude of the construction, there is a small theater on a close by hill which offers stunning views. Visitors are not allowed to enter the temple, but walking the perimeter is an experience in and of itself. There is a bus which will take you to the acropolis, but to reach the temple you will need to walk uphill. There are many different ways to get to San Vito. To reach the city by car, you will need to take motorway Palermo-Trapani. Take the exit marked Castellammare del Golfo. Continue on SS187 toward San Vito lo Capo. One airport you can fly into is called Airport Falcone - Boresillino of Palermo. San Vito is approximately 100 kilometers from this airport. Another airport choice is the Trapani Birgi Airport. This choice is between 90-100 kilometers from San Vito. Another option is to reach the city by train. The closest railway station to San Vito is in Trapani. From this station, you will need to continue for about forty kilometers to San Vito. Can choose to take a bus or taxi for the last length of the journey. Another option is to take a ferry to San Vito. You can grab a ferry from Genoa, Rome, Civitavecchia, or Naples. Take the ferry marked to Palermo. From there you will need to continue by road to San Vito. Finally, you can take a bus to San Vito. You have two main options when taking the bus. You can grab a connection in Palermo, or a connection in Trapani. Bus is typically the least expensive option.